New bed bug monitors- Any news? 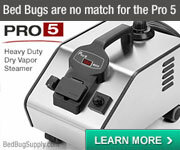 Any news on the new bed bug monitors? I know the release of both have been delayed. Is there an update on when they will be on the market? The Nightwatch is listed at $375.00. The CDC3000 I am unsure about, its original release price to PCO was about $500 I think. I am unsure what its price to the general public will be. Does anyone know which is "better," or are they relatively the same in what they do (detecting an infestation at the beginning rather than driving yourself crazy looking for signs like I have been)? I think the verdict is out as to my knowledge, no one has had both to test thoroughly against each other. They do operate on the same principle. DavidUk has said he thinks he has a preference, but until he tests them personally will not tell us which one he prefers. I believe Sean (bedbugresource) plans to test also. So right now, I guess the verdict on which is superior is out. I believe both have been tested by outside sources, but my knowledge is very limited. I'm hoping one of the experts will chime in on this. DavidUk has said he thinks he has a preference, but until he tests them personally will not tell us which one he prefers. David is a total tease. It's a big problem. Seriously, I think bitten123 pretty much nailed it. No one has to my knowledge done a comparison yet. A lot of people scrambled to put a deposit down on the Nightwatch when it was expected in November. Then the CDC 3000 appeared on the horizon. I don't know which will be better, but I am so excited about the prospects. These are BB attractants that can draw BBs in the absence of a human. They are for gathering samples and not a eradication tool, of course one less bug is one less bug. Sean said that nature will win and these will not be very effective if in a room with a sleeping person. Just don't want folks to lose sight of what these are for and get unrealistic expectations. Just to clarify ... I said that in a room with a sleeping person the monitor will not be as effective as it would be without the person present. Does this mean that it only catches 30% instead of 80%? We really do not know yet. We do not have enough test data. At the end of the day the job of these units is to alert you to a problem. If it catches 30% or 80% is irrelevant. 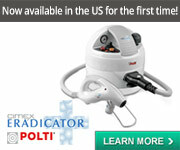 If it catches one bed bug when no other detection methods were successful then it has done its job. 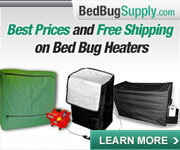 It has proven that bed bugs are present. This is why to me it is worth the cost. Do I still have any in my home? I don't know, no one has seen any, ever but we did some some faecal traces and have had bites so we called in a PCO. I hope after 3 full treatments and one 4th of bedrooms only that my saga is over. I want one to monitor to see if they are present on the premises, and hope to use one quite regularly for the rest of my life to catch any infestation early on. I'm only getting one to help me know or confirm their presence, not to treat. Maybe the technology will improve as times goes on, that would be great too. I think about when the first desktop computers hit the market years ago, technology changed rapidly in those first few years, and so it probably will in this too...progress forward is a good thing. They are for gathering samples and not a eradication tool, of course one less bug is one less bug. As Sean said, we don't know how well they will work in the presence of a human. This will likely also be affected by where the human is in relation to the bed bugs' harborage and the monitor. This is a pretty serious infestation and there is no sign it is gone after 15 days. But would using this tool and staying away for the first night make a big difference? In the study? Yes-- not only did they get a sample, they got a huge sample. For you? It may not work quite this well. For example, we don't know how long those bed bugs went without feeding. If those 850 were not hungry, surely they would have stayed in their harborages? And I suspect you would have much slower results if you were sleeping in the room. No, I am not suggesting everyone with bed bugs goes on vacation, but going away for a night, taking proper precautions, might be an idea. True nobugs but, maybe it is just me, that folks seem to be looking at monitors as a silver bullet and not another valuable tool. Certainly the data of Nightwatch indicates it can put a big dent in the population it still isn't a magic silver bullet. As Bitten said, this device is worth the money to me because of its ability to potentially detect an infestation before it gets too severe. That is so much of the stress right there. Do I have them? Is this a bite, a pimple, or a patch of dry skin? Is this a cast skin or a piece of lint? It can drive you crazy!!! I'd rather know what I'm dealing with first, then call in the professionals. On the other hand, people go for months and pay for multiple bed bug dog visits (with mixed results) and still have no idea. That poor woman who overdosed in Ottawa -- people who were supposed to help ignored her complaints that she still had bed bugs. The PCOs allegedly treated her like she was crazy. How many of us have been told initially that we were imagining things? How many are still wondering if they are imagining things? If these monitors can make THAT situation go away, or make it happen less, then thank goodness. It will be a good thing. I look forward to the development of an effective bed bug monitor....but at the moment I believe the most effective bait available to attract bed bugs is a sleeping human being. The heat producing,,,,CO2 spewing...."human cologne" wearing machine is a rather poor simulation of a sleeping human being. If we surround a sleeping human with sticky traps in an isolated bed....haven't we created a Lilliputian analog of the CDC 3000?....We have a heated....CO2 spewing device....containing human smelling bait with a sticky trap specimen acquisition system....we have created a monitoring device that doesn't require electricity, replacement CO2 bottles or new human scent lure replacement pads each week? If you look closely at the published test results for the NightWatch design you will find that the trials were conducted in small rooms containing one to two thousand bed bugs. Do we really need a monitoring device in a small room with 1000 -2000 bed bugs to figure out that it is infested? A blind HPD inspector with a seeing eye dog could find bed bugs under those test conditions. Where is the test data that demonstrates that these devices are going to be effective for detecting low level infestations (the primary reason consumers cite for wanting to purchase a monitoring device).... and where is the research data that demonstrates the efficacy of the device in a room that contains a sleeping human being? These devices are the best bed bug monitoring option available in a room that is absent the presence of a human being, but I am willing to wager a considerable sum that a well isolated bed containing a sleeping human being surrounded with sticky surfaces will out perform any artificial device currently available on the market in a room with a light bed bug infestation. At the same time, I agree completely with Sean when he points out that the function of a monitoring device is to alert us to the presence of bed bugs....if the monitor captures a single bed bug...then the device has successfully served its purpose as a sentinel & has obtained physical evidence of the infestation, which can be very useful. Well it certainly looks like the new fangled traps will not be out for use till sometime ??? next year. Perhaps bugs in the system (sorry May B.) are to blame. I wonder how the CDC 3000 can work. When my infestation was heavier, I would put my body (a great bedbug attractant for sure--much better than any man-made imitation of a human body) into bed with glue boards surrounding me(not just one small glue strip)and even though I still got bedbug bites, I would find no bedbugs on the glue boards when I woke up the next morning. How will the product work? 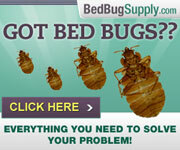 Can bedbugs avoid glue? Are they that smart? 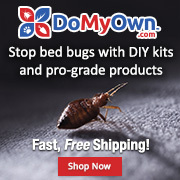 Would that account for the fact that glue traps & double sided tape have such a low efficacy for capturing bed bugs? I'm wondering if by day 4 and 5 the other bed bugs realized that this was a trap, and avoided it. David, are they really that smart? 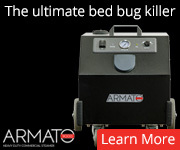 Having never seen this device, did the other bed bugs detect that something killed their kin and it was a trap, and thus that's why the thing didn't catch more after the first couple of days? I tested the monitors in an office (call centre) that had reported bed bugs to be present. A visual inspection of the entire call centre turned up 1 bed bug. I placed out 2 CDC 3000 monitors last Friday and returned on Monday to see if we had caught any. After checking the monitors I repositioned them and left them for the night. Upon returning on Tuesday I checked them. Very interested to hear the results! You little tease Sean. Bad boy! (giggle) Must be interesting otherwise the carrot wouldn't be dangling. Do these monitors work when the infestation is small? The answer is yes, they can. We caught 1 bed bug in each of the two monitors. Now I know this does not sound like much, but the visual inspection only yielded one bed bug. This is a VERY small infestation (perhaps only a handful of bugs) and in one night we were able to capture two. 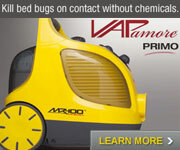 Keep in mind that these devices only work on bed bugs looking for a meal (every 3-5 days). This means that had we left the devices there for several days we may have had greater results. We used a canine to go through the office and it alerted to the areas surrounding the cubicles where the monitors picked up bugs. Again this is fantastic in terms of verifying where the bugs are in this office, and verifying the results of the monitors. We will be going back on Christmas Eve to dismantle the cubicles and do the treatment. I hope to have a much better understanding as to how many bed bugs are present once we start taking everything apart. My gut feeling is not very many as they were introduced only about a month ago via a worker. Sean, how do these things "catch" them? I know about the pseudo human attractant but how do they physically capture and or kill them? Did you catch anything the second time around? Do you have new results to share? Spidey: The CDC 3000 unit has a tray with glue integrated on to it. The bed bugs become stuck on the tray. It has now been two weeks since the initial treatment of this office and the results have been fantastic (knock on wood). Not one worker has complained of any bites or sightings. 5) Place out CDC 3000 monitors to act as an attractant while the offices were closed for the holidays. This is great news! 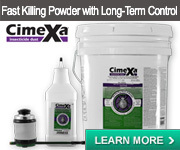 Did you SEE any bed bugs when you dismantled everything and treated the office? BTW, the Packtite didn't hurt the keyboards, etc as I know it says not to put electronics in it? I inadvertently treated a camera charger in the Packtite and it seems not to have been harmed. Wow, I feel something that I haven't felt in a while - HOPE! I think I may have them again, but my visual inspections have turned up nothing. I am ordering this unit asap. Yes we did find a handful of bed bugs. What was very encouraging is that this was a small infestation but the monitor still picked up on it. As for the keyboards and the PackTite ... Most electronics can stand heat to about 140F. We felt confident that these would not be damaged, but did ask the client to sign a waiver just in case. I am glad to hear that the monitor performed well on a small infestation. Good to hear about a successful field trial from a credible source like yourself.